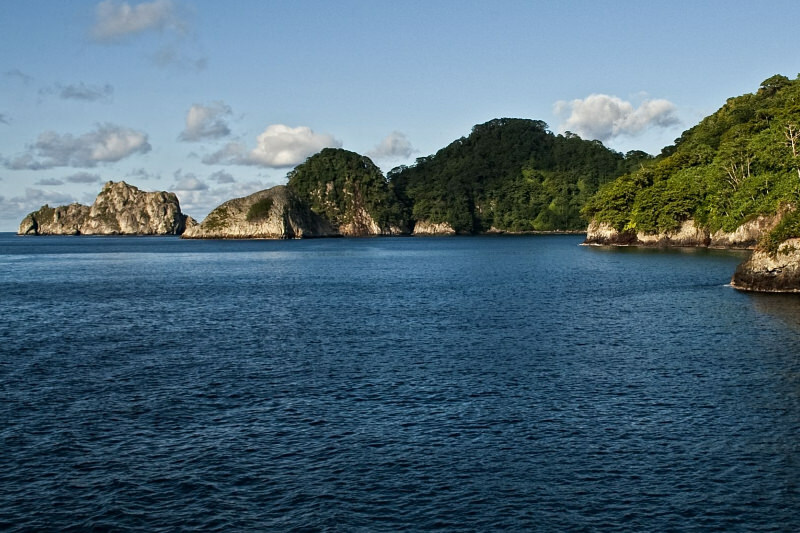 The Cocos Island National Park (CINP) is located in the Eastern Tropical Pacific, 532 km southwest of Costa Rica. Consisting of a 24 square km island and a 1,989 square km marine area, including a 12 nautical mile no-take zone surrounding the island, it was declared a World Heritage site by UNESCO in 1997 and a marine protected area (MPA) by Costa Rica in 1978. In 2011, the Marine Seamounts Management Area (MSMA), contiguous to the boundaries of the national park, was created, with a 9,640 square km extension to the protected area in which only artisanal, Costa Rican vessels may fish. Together, the CINP and MSMA form the Cocos Marine Conservation Area (CMCA). The CMCA is one of the most biodiverse marine sites in the world, representing 41.2% of Costa Rican marine endemic natural resources. Recent updates to the area’s management plan cite the threat of industrial fishing pressure, but, until now, there was limited access to data to support policymakers with monitoring, control, and surveillance decisions. Furthermore, limited enforcement resources prevent authorities from intervening in fishing activity in the remote park. The Cocos Island National Park in the Global Fishing Watch fishing activity map with fishing activity from late 2017. Amigos de la Isla del Coco (FAICO) is a Costa Rican non-profit organization dedicated to supporting the protection and conservation of the Cocos Island and its surroundings ecosystems. 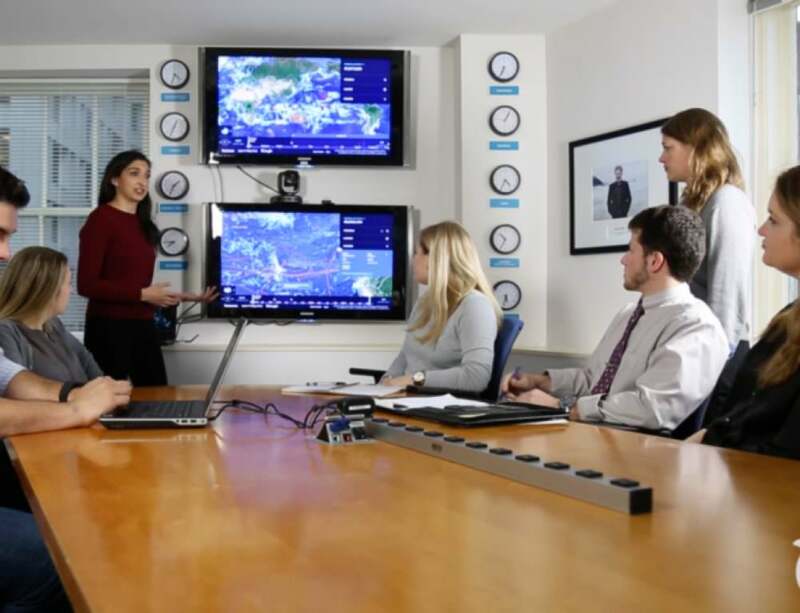 FAICO´s focus is on securing funding and developing effective partnerships with implementing organizations, thus achieving shared marine conservation goals. Using Global Fishing Watch data, the organisation is taking action to understand the extent of fishing activity within the CMCA. “Cocos Island is a powerful symbol for marine conservation, showing how the world’s tropical oceans were 200 years ago or more. Its geographic location allows it to be the base of critical habitats for global marine life, which are constantly threatened inside and outside the marine protected area by illegal fishing pressures.” said Executive Director of FAICO, Alejandra Villalobos M.
In a recently released report, FAICO researchers investigated industrial fishing pressures in the reserve and the surrounding Costa Rican Exclusive Economic Zone (EEZ), analyzing Global Fishing Watch purse seining data from January 2012 to June 2017. 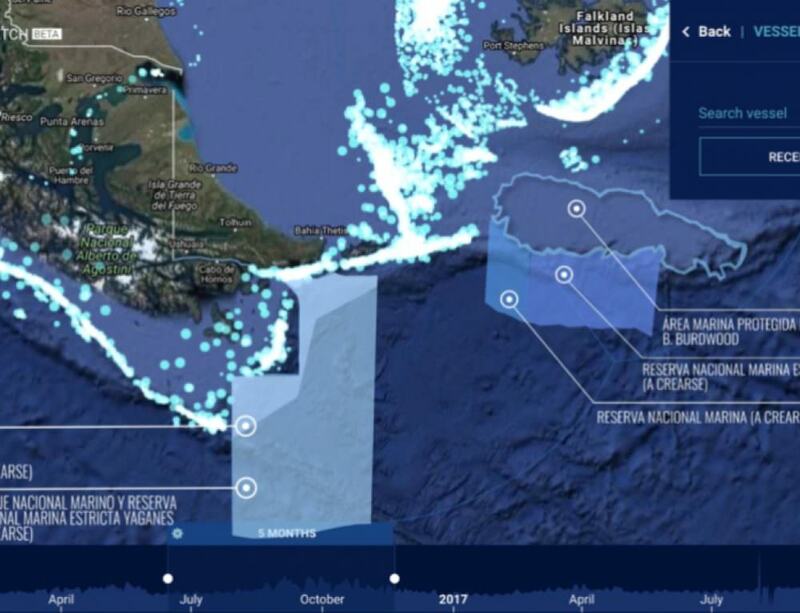 They compiled purse seine fishing activity in the area and cross-referenced their analysis with other public data such as the Inter American Tropical Tuna Commission’s fishing locations database, UN Food and Agriculture Organization (FAO) data and interviews with purse seiner captains. 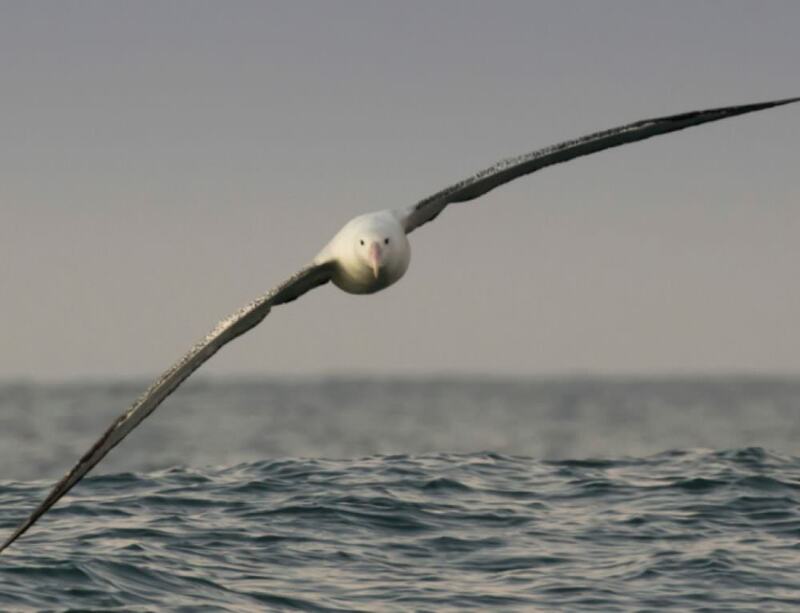 The research revealed over 130 possible fishing activities detected within the MPA and 39 purse seiners operating frequently within the MPA or surrounding EEZ over the 5-year study period. Fishing pressures in the MPA and surrounding area were largely from foreign fleets. Vessels using the Automatic Identification System (AIS – a collision avoidance system that transmits a vessel’s location at sea and sends them to land and satellite-based receivers, and the primary source of fishing vessel data for Global Fishing Watch) represented less than 45% of the total fishing effort in the MPA – the remaining 55% can be presumed as “dark fleet” activity. These findings, combined with other sources, reveal excessive fishing pressure in Costa Rica’s EEZ, mainly by foreign fleets, much of which is illegal. These results come at a crucial time – the Costa Rican government is redefining its maritime strategy for conservation and fisheries. The government is taking a holistic approach, inclusive of the public, private sector, NGOs, fisheries industry, conservationists, scientists, and coastal communities, to improve the profitability of marine resources for Costa Ricans in the long term. “The richness in marine-terrestrial biodiversity and its unique characteristics of an oceanic island must be protected, and no effort should be spared given its management will face local, regional and global challenges,” added Alejandra Villalobos M.
Official fisheries statistics from Costa Rican government agencies and the FAO show a persistent decline of marine resource productivity since 2005. Improving maritime control and surveillance operations will assist a rebound of these resources. Better enforcement of the CMCA could produce what is known as a ‘spillover effect’ of valuable species and thus benefit the country’s economy. Global Fishing Watch tools were key to performing a rapid assessment of commercial fisheries pressures in the CMCA. FAICO is working with the Costa Rican government, including the Ministry of Environment and Coastguard, to help strengthen policies to combat illegal, unreported and unregulated (IUU) fishing and protection of the MPA. 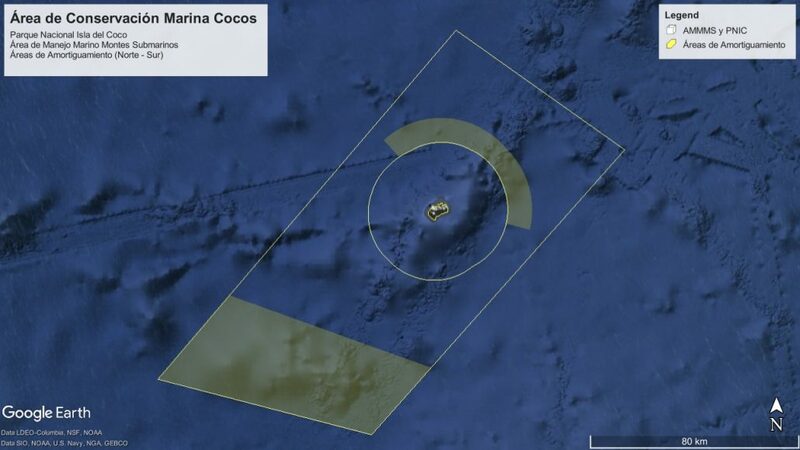 Policymakers integrated the FAICO report into a new and recently approved monitoring, control and surveillance plan for the Cocos Island MPA and the surrounding EEZ. With 5 years of Global Fishing Watch data, researchers were able to understand fleets’ patterns around the MPA and consequently define the patrol strategy and surveillance tools that will be applied, as well as related financial needs to be considered for implementation. “The use of tools such as Global Fishing Watch addresses a global challenge, strengthens and generates relationships between countries in search of common strategies that could support sound conservation and fisheries management strategies,” concluded Alejandra Villalobos M.
Next, FAICO plans to expand the analysis and continue working with Global Fishing Watch data at regional level (neighbouring MPAs), in order to provide a large scope evaluation that could help these governments to cooperate on maritime conservation strategies.